The proportion of UK towns and cities that are affordable for first-time buyers has risen to its highest level for a decade, according to the latest Halifax First-Time Buyer Review. The average house price paid by a first-time buyer (FTB) in June 2012 was affordable for someone on average earnings in more than half (54%) of all local authority districts (LADs); the highest proportion for ten years. This is up from 40% a year ago and almost eight times the proportion of affordable LADs at the peak of the housing market in 2007 when only 7% of LADs were affordable. The number of FTBs has risen over the past year, albeit from a historically low level, helped by the improvement in affordability. 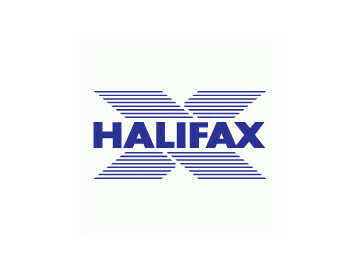 Halifax estimates that there were approximately 114,000 FTBs in the first half of 2012, up by just over a third (34%) from the same period in 2011 (85,600), but less than half the number a decade ago (244,700). The recent ending of the stamp duty holiday is likely to have boosted the number of first-time buyers in the first six months of 2012 as some buyers brought forward their purchases to meet the March deadline. "With first-time buyers forming a vital part of the housing market, it is clearly encouraging that the number of those getting onto the property ladder for the first time may well increase this year, albeit from a historically low level. This partly reflects the substantial improvement in home affordability for first-time buyers since 2007, following the fall in house prices over the period." "However, the continued uncertainty over the outlook for the UK economy and the difficulties faced by many in raising the necessary deposit remain significant hurdles for those wishing to buy their first home. Despite the overall improvement in affordability, there is a stark contrast between conditions in the north and the south. In June 2012, just 9% of all UK LADs that are affordable for FTBs were in southern UK1; a tenth of the proportion in the north 2 (91%). In 2002, 15% of all UK LADs that were affordable for FTBs were in the south compared to 85% in the North. The North East is the only UK region where all LADs are affordable for FTBs. The North West has the second highest proportion of LADs (97%), followed by Scotland (93%). In contrast, London is the only region with no affordable areas for FTBs on average earnings. The average deposit in the first half of 2012 was marginally (1%) lower than in the same period in 2011. The average FTB deposit of £27,857 in June was, however, still some 59% higher than in 2002 (£17,523). Regionally, FTBs in London put down the largest deposit (£59,221), followed by the South East (£34,843). In contrast, FTBs in Northern Ireland put down the smallest deposit (£16,267). 38% more FTBs are required to pay stamp duty as a result of the end of the temporary increase in the stamp duty threshold for FTBs - from £125,000 to £250,000 - at the end of March. In total, 44% of FTBs will now pay stamp duty compared to only 5% during the period of the temporary threshold increase. Four of the five most affordable LADs for a FTB are in Scotland. South Ayrshire is the most affordable LAD in the UK with an average property price that is 2.5 gross average annual earnings. Pendle in the North West is the second most affordable LAD (2.6). Swindon is the most affordable LAD outside the north (3.6). London accounts for nine of the ten least affordable LADs. Brent in London where the average FTB property price is 8.8 times gross average earnings in the area is the least affordable LAD for FTBs. Oxford (7.6) is the second least affordable LAD. Herefordshire (5.2) is the least affordable LAD outside southern England. 1Consists of Greater London, South East, South West and East of England. 2Consists of the North East, North West, Yorkshire & the Humber, East Midlands, West Midlands, Scotland, Wales and Northern Ireland. A local authority district (LAD) is classified as affordable if the average house price for a First-time Buyer (FTB) in the LAD is lower than someone on average earnings in the area can pay. Gross average annual earnings for the LAD are multiplied by 4.0 to calculate the amount that someone on average earnings could 'afford' to pay. For example, if average earnings in the LAD are £30,000, someone on average earnings in the area could pay up to £120,000. The LAD is deemed to be affordable if the average price paid by a FTB in the LAD is less than £120,000 and unaffordable if it is higher. The multiple of 4.0 is in line with the average house price to income ratio for a FTB over the past 20 years (1989-2008). (Source: Halifax). 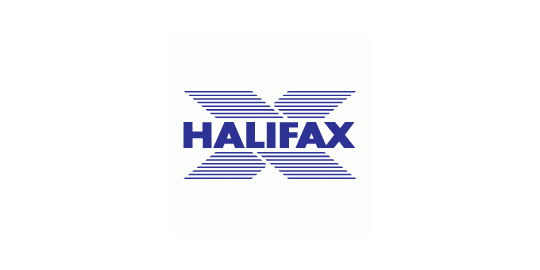 The review is based on data from the Halifax's own extensive housing statistics database, along with data from the Council of Mortgage Lenders, the Office for National Statistics and the Department for Communities and Local Government. The prices used in this research are simple arithmetic ('crude') averages. These prices are not standardised and therefore can be affected by changes in the sample from period to period. Average prices for 2002, 2007, 2011 and 2012 are for the 12 months to June. Average earnings figures are from the ONS's "Annual Survey of Hours and Earnings" (ASHE) and refer to the means for full-time employees. At local authority level, figures for the relevant local authority (residence based) are used in the majority of cases. Where this has not been possible due to data unavailability, the relevant regional average has been used. * For more information regarding media usage, ownership and rights please contact Customer Relations .